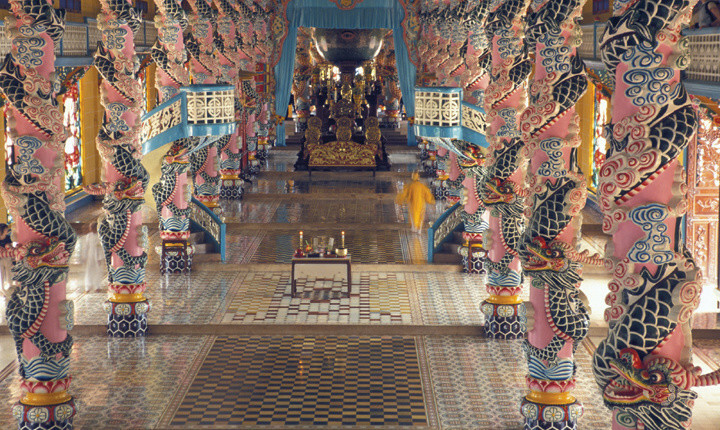 Vietnam’s traditional religious background is based on three great philosophies and religions. These are Confucianism, Taoism and Buddhism that coexist with a more ancient but still thriving mother worship cult, ancestor worship, popular beliefs, superstitions and ancient Vietnamese animism. It is rich and finely balanced amalgam that permeates not only the spiritual side of Vietnamese life (most will say they are Buddhists) and their understanding of the universe (taken from Taoist philosophy) but also regulates family and civic duties (which is the main focus of Confucianism). 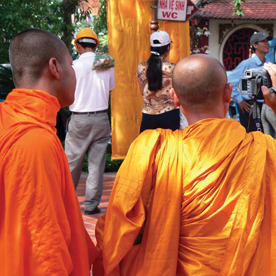 Although religious identification is not such a clear-cut matter, statistics tell us that about 70% of the population are Buddhist, 10% Catholic, 3% Cao Daist, 2% Hao Hao and the rest of various other religious groups such as Protestantism, Islam, Hinduism and the specific beliefs of some minority ethnic groups. As far as individual beliefs are concerned, especially those of foreigners, Vietnam has to be one of the most tolerant societies. Actually, most Vietnamese couldn’t care less if you believe or what you believe in and will not try to convert you to their own sets of beliefs. HAVE A SPECIALTOUR REQUEST ?